VPNJack is a very simple VPN service that issues you a US IP address, which allows you to stay anonymous and access all the websites and content you like without any restrictions. With VPNJack, servers are all located in one country, the United States, and it uses two protocols – PPTP and L2TP. Other VPN providers may have more exciting features to offer, but if you’re looking for complete freedom in browsing, streaming and downloading, this VPN is ideal for you. Read this VPNJack review to learn more. Effective and cheap - get 24 hours of VPN service for $0.99, or 7 days for $1.99! Setting up and using VPNJack is as simple as it can be. Once you subscribe to their services, you receive your login and password and all you need to do is follow the instructions on the VPN Setup page of their website. It is slightly disappointing that they did not bother to include video tutorials or at least screenshots in their setup instructions. However, the text alone should be enough for you to easily make a secure connection via VPNJack. As for the interface itself, there is really nothing to talk about. With VPNJack, you merely set up a VPN connection on your device and use it the same way you would any other connection. With servers located in just one country, the speeds are basically all the same. However, they will definitely vary depending on your location. US users will, naturally, have the best results and those located the farthest from North America will have slower speeds. The problem is, you’d expect the speeds in the United States to be at least good, if not great, through a VPN service provider located in the country. This was not the case in our tests, as the speeds were cut almost in half, which is definitely a considerable drawback. On the other hand, the performance is quite consistent. You are likely to get almost identical speeds in all of your sessions, so you definitely know what to expect each time you go online. The servers are stable and only rarely go down for maintenance, but even when that happens, you have other servers available so you can switch (if you don’t get redirected automatically). As for the compatibility, the list of supported platforms and operating systems is quite modest. There is, of course, Windows (Windows 7 and higher), Mac OS X (including some older versions), and iOS (iPhone, iPad, iPod Touch). Recently, they have introduced Android to the list of supported operating systems. Unfortunately, their software still does not support Linux, not to mention smart TVs, gaming consoles, and other devices. VPNJack allows you to browse the Internet and access websites in a safe, secure, and anonymous way. 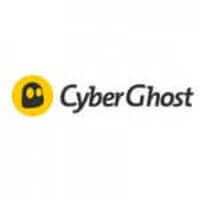 It prevents password interception on public Wi-Fi hotspots, encrypts literally all of your traffic (not just your browser traffic), and unblocks websites and services that are off limits to you because of geo-restrictions or any other reason. In addition, it hides your real IP address by assigning you a different one. There is very little information regarding the company’s servers, including their number and exact location. The website only states they have servers in multiple locations throughout the USA. This is great for American users, perhaps even for Canadians, but doesn’t do much for those outside that region. Not to mention that even US users won’t be too thrilled to find out there are no servers they can use while traveling abroad. The situation is not much better when it comes to protocols. VPNJack only offers PPTP and L2TP, which is okay, but definitely not great. These days a provider cannot really be competitive on the VPN market unless it offers at least one or two of the more advanced encryption options. The 128-bit encryption key is also far from ideal. VPNJack does not keep logs and you don’t even have to register in order to use the free VPN. For the paid VPN, you will have to provide some minimal personal information and the payment is made through PayPal or BitCoin, which definitely provides an extra line of privacy and anonymity. Unfortunately for those looking to do some torrenting using VPNJack services, P2P sharing is explicitly forbidden. There seems to be a sister company, though, to which the FAQ section of the VPNJack website directs users interested in P2P sharing. The company strongly recommends trying the free trial first in order to make sure your Internet Service Provider doesn’t block VPNs. As we have mentioned earlier in this VPNJack review, VPNJack uses two protocols: PPTP, with MPPE 128-bit encryption, and L2TP. They use L2TP because the latest versions of certain operating systems, such as iOS and MacOS, no longer support PPTP. However, VPNJack is still lagging behind the competition since it does not offer OpenVPN, which is the golden standard in the business. The company itself describes its protocols as “pretty much” secure in the FAQ section of their website. On one hand, you have to give it to them for honesty but on the other, it’s a bit unprofessional. However, if you only plan on using a VPN to, say, watch shows that are not available in your country, then you don’t need a particularly high-security level anyway and you should be fine with just PPTP. L2TP is more secure, but it is slower and slightly harder to configure. VPNJack insists that they do not keep any logs and they do not ask for your personal details. If you handle your payment via PayPal, the only real info they have on you is your e-mail address. You can also opt for BitCoin payments and enjoy absolute anonymity. Customer support is handled through a FAQ section, which is not particularly detailed or extensive. There is no support ticket and no LiveChat window. The only form of contact is through e-mail. When contacted, the support staff responded through e-mail in a matter of hours. If you are in a terrible hurry, this won’t be very useful for you. The FAQ section is scarce, to say the least, and the same goes for the Support page, which offers a very limited knowledge base. 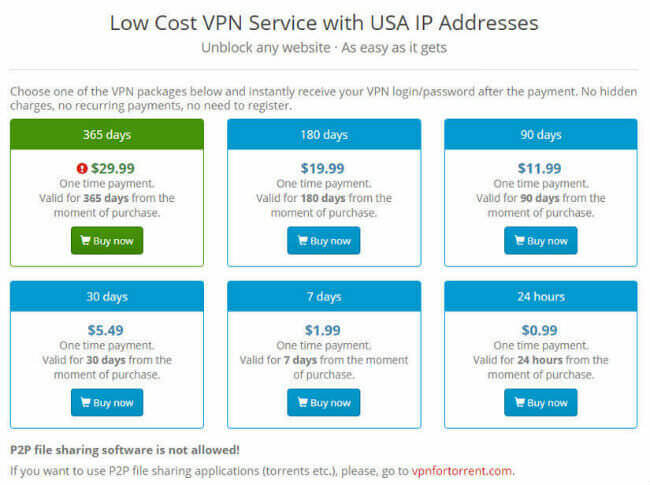 The cheapest option is the 24h VPN service that costs $0.99. A week will cost you $1.99, one month is $5.49, 90 days costs $11.99, and the three-month plan is $19.99. The best value is, of course, the yearly plan, which costs $29.99. Payments can be made via PayPal or with BitCoin via GoCoin.com. At the end of this VPNJACK review, here’s a quick overview of the features that wowed us and the aspects of the service that could use some improvement. Our ratings are the result of an objective and independent evaluation of VPNJACK, generating the final rating that reflects the overall quality of the company. Ratings may change as the service changes. VPNJACK user rating based on 2 user reviews. We found 0 verified VPNJACK discounts for April, 2019. There are no VPNJACK coupons or discounts right now.